Summer is in full force and there’s nothing better than spending time outside. Whether you’re hosting a party, sitting down to a family meal outdoors, or simply relaxing, the condition and durability of your deck makes a difference. We’ve had many decks over the years. Large, small, high off the ground, and even a rickety one we weren’t even sure was safe to stand on! Taking care of your deck matters for aesthetic purposes, but also the life of your deck for years to come. 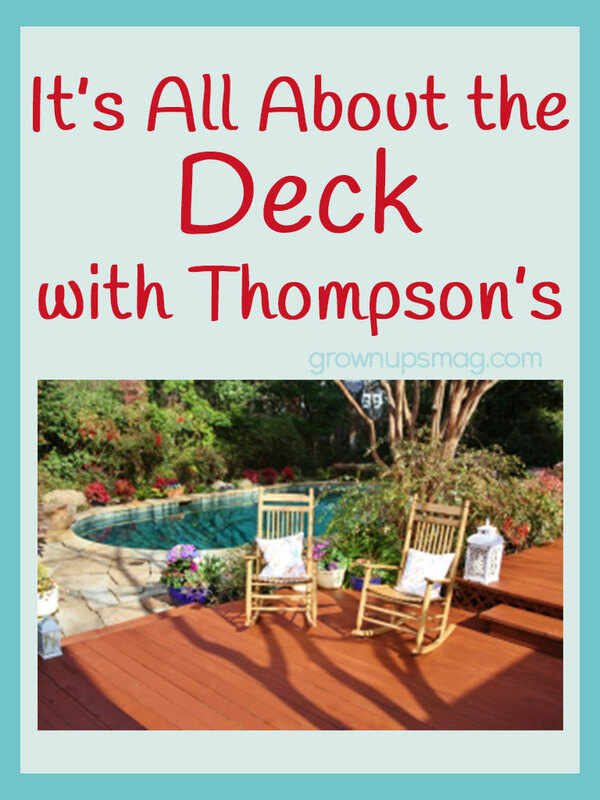 Homeowners who would rather take it easy on their decks will find a new line of Thompson’s®WaterSeal®Waterproofing Stain that makes deck care just that — easier on them. If you have kids and a pool out back with your deck, check out our article about water safety: Playing It Safe: Preventing Drowning. This giveaway ended on August 14, 2014. The winners are Athena E., Teri D., Natalie P., Sara S., and Patty Y. Congrats!